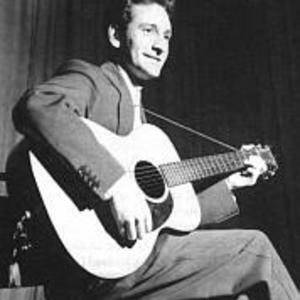 Lonnie Donegan MBE (29 April 1931 ? 3 November 2002) was a British "skiffle" musician, with more than 20 UK Top 30 hits to his name. He is referred to as the "King of Skiffle" and is often cited as a large influence on the generation of British musicians who became famous in the 1960s. Donegan was born as Anthony James Donegan in Glasgow, Scotland, the son of a professional violinist. His ethnic mix was Scottish/Irish.